Kromite #3 Hollow Bar is a modified 4140 steel. Typical hardness is Rockwell “C” 28/34. This chromium and molybdenum based alloy is electric furnace melt, vacuum degassed, and stress relieved. It is offered in the hot roll, heat treated condition. Typical tensile strength is 156,000 PSI. Machinability rating is approximately 60%, depending on actual hardness. Material is furnished with a rough O.D. and I.D. for final clean-up in your machine shop or tool and die department. (This is not a finished bushing). 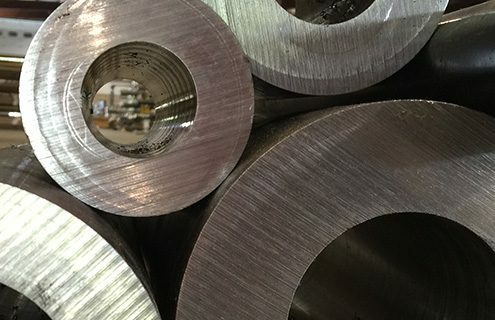 Consideration should be given to use Kromite #3 Hollow Bar in place of certain commercial alloy and carbon steel grades including: AISI 4130, 4140, 4150, 4340, 1018, 1020 and 1045 depending upon the requirement. Call or email us for a quote. This material will accept most common surface hardening procedures. You may surface harden I.D. or O.D. by flame hardening, induction hardening, nitriding, or carburizing. It is intended to assist in the making of maintenance parts that have an open configuration. 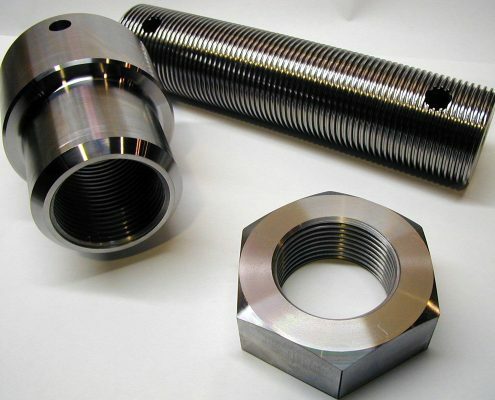 Heat Treated – eliminates excessive cost in heat treatment. Our material is thermally treated (as deliv-ered) to a hardness of 269/341 BHN. Stress Relieved – reduces the likelihood of material “walking” or moving during machining. 3″ O.D. x 1-1/2″ I.D. 3-1/2″ O.D. x 1-1/2″ I.D. 4″ O.D. x 2″ I.D. 4-1/2″ O.D. x 2-1/2″ I.D. 5″ O.D. x 3″ I.D. 6″ O.D. x 3-1/2″ I.D. *Supplied as a rough size (O.D. and I.D.). Will not finish to its nominal size. 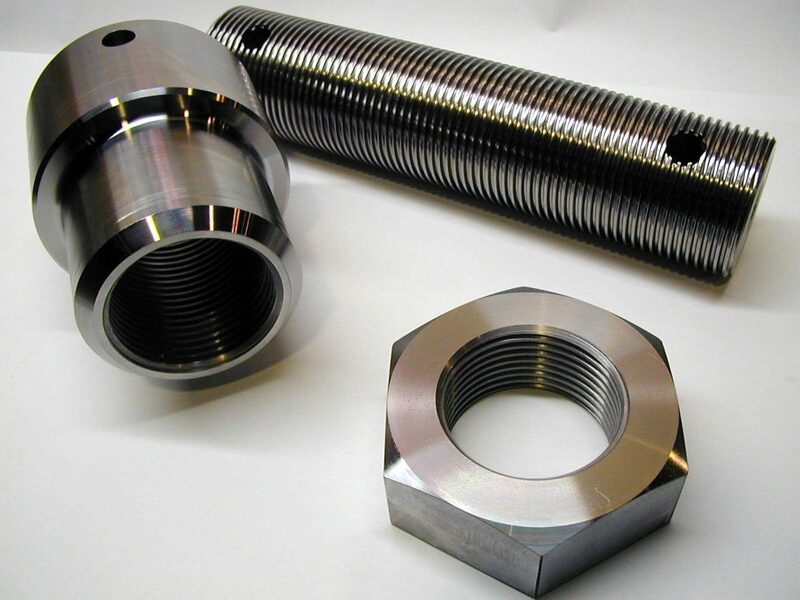 For corrosive applications where stainless steel is required, search for Mir50® Bushing Stock. Sheffield #10™ Bushing Stock is the past protected tradename of North American Steel Company.